Quite a week this week. Jessica Jones Season two dropped on Netflix. The first thing I saw was a tweet from John Campea, an online personality/critic, who said that it was horrible. I was sad that Campea did not like the show, but what upset me more was seeing one particular response to John’s tweet that immediately attacked him and his own online show. It is so sad that we cannot be allowed to express our opinions on Twitter without having some Troll come along and make it into an attack. I did not agree with John’s comment but he has every right to express it without being attacked for it. It is the worst part of the Internet and I wish those people who feel the need to protect what they like by downgrading other people would just go away. Having said that, I could not disagree with John more. I found Jessica Jones season two to be extremely engaging and entertaining and full of emotional depth and powerful moments. Yes, it is not your typical super hero show, but that is a good thing. Everything that happened continued to develop the character of Jessica Jones or the character of Trish Walker or another one of the excellent side characters. The use of Jessica’s mother as an antagonist turned the second half of the season into a real conflict between mother and daughter and the final episode with Trish shooting Jessica’s mom was both shocking and heartbreaking. The relationship between Jessica and Trish has been forever tainted. And Trish is seemingly much closer to becoming Hellcat than ever before. And the cameo from Kilgrave was awesome. Then, everything went to crap on the Movie Trivia Schmoedown this week. This was Championship week and the first match of the week was strong and might have been surprising, but it had nothing on what happened in the team match on Friday. Samm Levine defeated Rachel Cushing in the title match, retaining his championship. Most people thought “The Crusher” Cushing was taking that title, but Levine proved he should not be underestimated. However, in the team match where the Patriots took on Top Ten, controversy reared its ugly head. In the third round, the betting round, Jeff Sneider spun Westerns on the wheel. Westerns is a well-known strength of Top 10, in particular John “The Outlaw” Rocha. The question was asked and John wrote something down and then, at the last second, erased it and scribbled something else down. The Patriots missed the question and lost a point. Top Ten wagered 3 points. Patriot member JTE said that Rocha did not write anything down. Rocha said he could say it. When told he had to write it and say it, he said that he had written it down in the corner and the answer was “Jane Fonda”. That was right and, after some thought, Kristian Harloff awarded Top Ten the three points. The Patriots immediately challenged the ruling and then, apparently, all hell broke loose. What happened when the dust settled, the question was thrown out and the Patriots were allowed to re-spin. Top 10 then lost 3 points while the Patriots gained three points changing the score to a 10 point deficient instead of being tied. Top 10 had lost the fire and was quickly KO’d in the next round. This is extremely unfortunate for the Movie Trivia Schmoedown. One side said that Rocha should have written the name down so it could be read, but the other side said that he said the answer without hearing it so the writing was not as important. The biggest issue most people have had is the re-spin being rewarded for unspecified reasons- perhaps because the Patriots, in particular Sneider, campaigned for it. It was a hot mess that was not going to have an effective resolution no matter what way it went. Harloff knew that he was going to face a tough weekend on social media because of this. And it makes the upcoming live Schmoedown one-on-one match up this Thursday March 15th with Rocha vs. JTE all the more compelling. 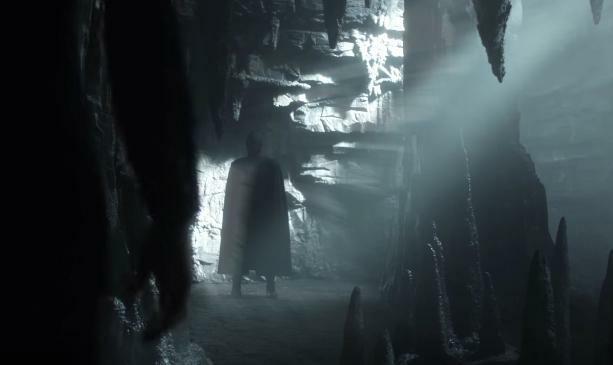 Gotham showed us a delusion in Bruce Wayne’s head of the future where we see a version of what looks to be the Dark Knight. The problem? This was the whiniest Bruce Wayne has been in a long time. I have never been one of the haters on Bruce Wayne on this series, but I could see the reasons behind it in this episode. The stuff with the Penguin and Jerome was more interesting and the story with Poison Ivy was also more interesting. I am a little concerned that Gotham is coming back down from the heights it reached during the Professor Pyg storyline, but I will continue to hope. Scandal pulled the most obvious twist in their most recent episode where “terrorists” take over Air Force 2 and turn it back toward Washington. With V-P Cyrus Bean on board, Cyrus made it sound as if Jake was at fault, but I knew the entire time that this had Cyrus’s stink all over it. And sure enough, the show went there. Despite the fact that it made no sense and that the Air Force was literally seconds away from shooting the plane from the sky, Scandal wants us to believe that this was a plot from Cyrus to undermine Jake’s position as Chief of Staff. The episode was tense and exciting, but the whole time I was just hoping that they did not go in the way that they were obviously setting up. Meanwhile, of course, they had Olivia go see her mother to try and continue to redeem Olivia from her season long courtship with evil. Scandal’s final season has been an extremely disappointing one with more baits-and-switches than engaging drama. Oh, someone died on How to Get Away with Murder. Honestly, this show is more deadly than Murder, She Wrote. This time, there is a car crash at the end and we do not know who is being wheeled away on a stretcher. However, the gunshot wound to the head does not kill Simon, who recovered this week. We also see some flashbacks to the day before Wes died and we find out that Laurel’s mother tipped off her father about it and that lead to Wes’s murder. 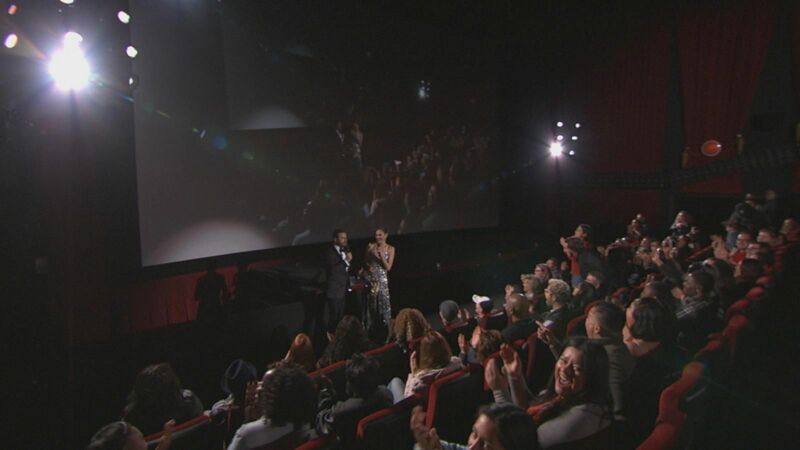 The Oscars ran their broadcast late into the evening on Sunday. The Shape of Water was best picture. Guillermo del Toro won best director. Frances McDormand won bets actress and Gary Oldman won best actor. The best bit of the night was when host Jimmy Kimmell took a group of celebrities including Mark Hammil, Gal Gadot, del Toro, Armie Hammer, Margot Robbie and crashed a showing of A Wrinkle in Time next door to where the Oscar’s broadcast was going on. They brought “treats” to the fans as a thank you for being fans. Agents of SHIELD reached their 100th episode Friday night with its typical brilliance. The team finally found out that Agent Coulson is dying and what happened when he was possessed by Ghost Rider. The show was very emotional and felt like it was going to be a goodbye for Coulson, but he was able to survive for now, thanks to help from Deathlok- a returning Mike Peterson. Then, at the episode’s end, we were treated to a great surprise. The wedding of Fitz and Simmons. And that was not all. We also learned that Deke was the grandson of FitzSimmons. Mind blown! Still behind in my watching. Missed Walking Dead, Riverdale, Ash vs. The Evil Dead and Speechless this week. Need to find some time to catch up. There is also Fastlane tonight, the final PPV on the Road to Wrestlemania for the WWE.